By repeating the add/subtract rhymes, students quickly remember the fact families. 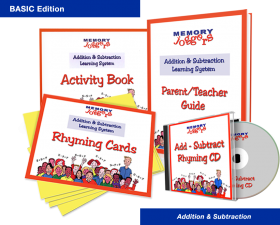 The “sing-song” cadence makes memorization of the rhymes easier and more fun. 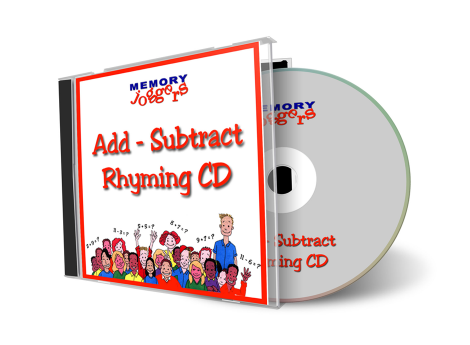 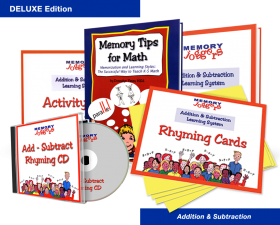 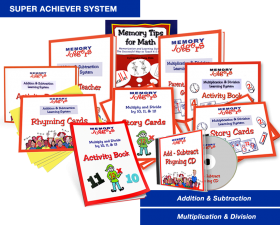 The CD needs to be used along with the Add & Subtract Rhyming Cards.